Instead of giving the elderly population vaccines ? in the misguided belief that this would take care of them ? we could help them much more by improving their general resistance to disease through good diet, social engagements and exercise programs. Many old people don't have adequate nutrition and suffer from depression; both these factors work as powerful immune suppressants. Others don't have a warm home or they live alone. Research has shown that these are the major risk factors for illness and death in the older generation. A series of liver cleanses alone can strengthen natural immunity, improve digestion, retard the aging process, restore health, and foremost of all, enhance mental functions. In developing countries, where the elderly play an important role in society, general illness is low, provided there is enough food available. In these countries it is more likely that old people die from malnutrition than from a strain of virus. Researchers concluded that andrographis may be effective in treating "uncomplicated" infection in the upper respiratory tract (throat, sinuses and ears). According to previous laboratory trials andrographis extract doesn't actually kill the organisms that make you sick ? at least not directly. Instead, the herbal compound boosts your immune system and stimulates natural antibodies. Andreas also is the artist who created the oil paintings for a new innovative approach to healing through energized art, called Ener-Chi Art. His latest healing tool for clearing emotional blocks and fear is called "Sacred Santèmony ? Divine Chanting for Every Occasion." For more information contact Andreas Moritz, visit his web site http://www.ener-chi.com or contact him at tel. 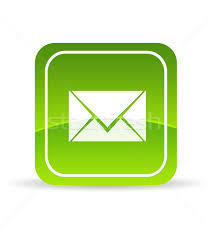 1-864-848-6410, Greer, South Carolina, USA, E-mail andmor@ener-chi.com.